UI does not scale with resolution and can appear very small in 4K. 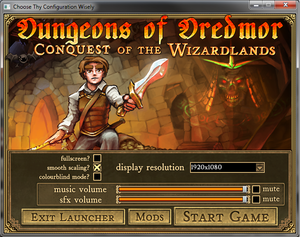 Right click on Dungeons of Dredmor.exe and select Properties. 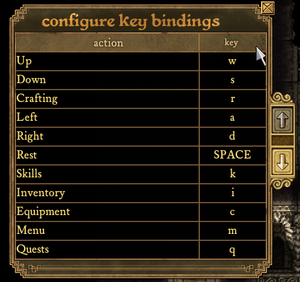 If you suffer from performance drops, you may try running the game in opengl mode. 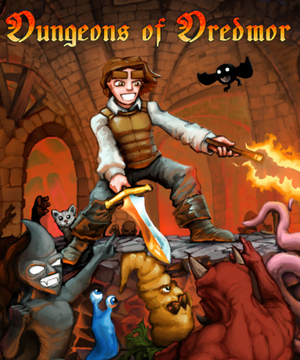 In your Steam library right click on 'Dungeons of Dredmor' and select Properties. In 'General' tab click on Set launch options... button. Type -opengl into the prompt. Requires a resolution of at least 1024x600 or 1024x768.